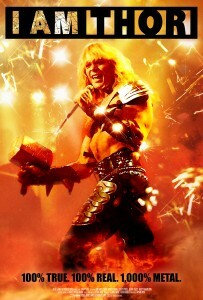 I Am Thor is the new documentary chronicling the life and career of heavy metal legend THOR. 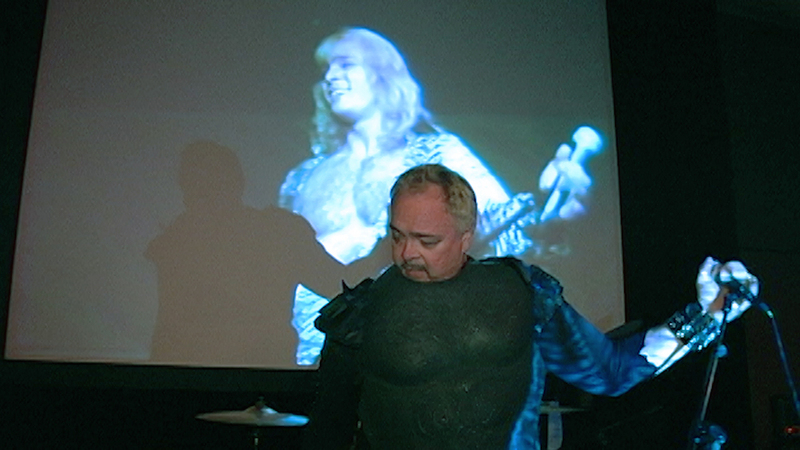 We spoke with Jon Mikl Thor about his new movie and the current tour supporting the release. Check out the official synopsis below and look for I Am Thor in select theaters and on VOD starting Friday, November 20th. Jon Mikl Thor was a bodybuilding, steel bending, brick smashing rock star in the 70’s & 80’s whose theatrical band THOR hit the scene alongside Metallica and Kiss, but never achieved the gold record status of its contemporaries. After a brief but memorable film career saw him starring in the cult classics Rock ‘n’ Roll Nightmare and Zombie Nightmare, Thor all but disappeared from the entertainment map. But ten years into retirement, and incapable of living like a normal mortal human being, Thor attempts a comeback to achieve the level of success that has eluded him his entire career – a comeback that nearly kills him. What got you interested in doing this documentary? Jon Mikl Thor: I’ve been in the rock business and film industry for a long time. I retired from the industry in 1987. I had toured quite a bit and put out quite a few albums and movies. I thought I was never going to come back into the industry, I had other endeavors and goals to do with my life; but somehow it drew me back in. I wanted to write songs again. I started my career like 10 years later, and it got to be 12 years after I retired that I divorced my wife and kind of changed my life and headed out west and started a sort of new life. I was living in Charlotte, North Carolina at the time and I put out an album called Dogz II and had the tour for it. I came into Seattle and I met these two filmmakers Alan Higbee and Ryan Wise. I was starting back up into films so I was interested and a friend of ours said these guys are doing movies and they’d like to talk to you. I invited them to the show and they loved it and said, “Hey, we gotta do a documentary.” They thought probably it was going to take two years; it took 15 to get it completed. How does it feel to be back on the road? JMT: Well, I’m feeling pretty good about it. Y’know it fits like a glove really, I’m very comfortable with touring again and very excited about the movie. I’ve been doing this for a long time, so even if I have a break here and there it’s very comfortable to me and I’m really excited about going out to meet people and get their reaction on the movie. I want to see how people feel about the movie. I’ve seen some of the reaction already at film festivals and it’s been really great. We’ve won some awards and I’m proud of that, but I want to see the general public and how they react to it and then of course we’re going to do the live performance right after. How have the THOR fans been reacting? JMT: I think it’s pretty astounding. There’s a whole new generation that are discovering THOR. We have an amazing web presence and I think it’s just something that happened over the years, passed down from one generation to another. (laughs) The technology going on today was made for THOR and I’m very comfortable with it. If you don’t adapt, you die right? And the thing is, I enjoy the adaption because I enjoy the new technology. I love what’s going on getting the word out there and getting it out there faster. There’s all kinds of unique marketing that can be done. I don’t have to rely on MTV’s committee to hum and haw over my $20,000 video that I put in and they decide whether they’re going to play it or not. Well guess what, I can put it up on YouTube and a lot of people are going to see it and that’s what’s great about the trailer too. The trailer for the movie can be seen by many by getting it out there and getting it launched through media and social networking and it’s just fantastic. The response has been amazing, especially among younger fans. Does all that help drive you as an entertainer? JMT: Absolutely, it gives you a lot of confidence. I’m able to see comments out there and the majority of comments are very positive, and the correspondence we get with Facebook and messaging is overwhelming. People just seem to really love the music and I always had the live show with the wild bending steel bars and blowing up and exploding hot water bottles, strong man stunts and costuming; but more and more through everything that’s happened through the years and what’s going on now, I think the young generation is really discovering our music. They say, “Hey these guys wrote some pretty good songs and it’s really good music.” So even if we went up on stage with t-shirts and jeans, I think our music would be appreciated. Do you plan on getting back into acting? JMT: Yes, there seems to be a call for it. I was always a fan of the movies as I was a fan of rock. I loved Steve Reeves in Hercules and I was into science fiction and Invaders from Mars y’know. George Reeves when he was Superman on TV, I was fascinated by all that. And then of course during the 60s I got heavily into The Beatles after seeing them on Ed Sullivan, so I’m a multimedia guy. I’ll keep putting out records and I wanna continue to put out movies. I’ve got some projects on the fire right now and I’m a writer too. I like to keep myself active. Is there anything you’d like to tell the fans? JMT: I’d like to meet anyone and everyone and invite them to come down to the shows. This is a really phenomenal tour and I think that there’s something about the movie I believe is inspiring. It’s a message that I kind of portray, it’s a real life kind of Rocky movie right? What I’m trying to say to people is just don’t ever give up. Believe in your dreams and keep moving forward because there are obstacles in life and you have to overcome them. Just believe in yourself.